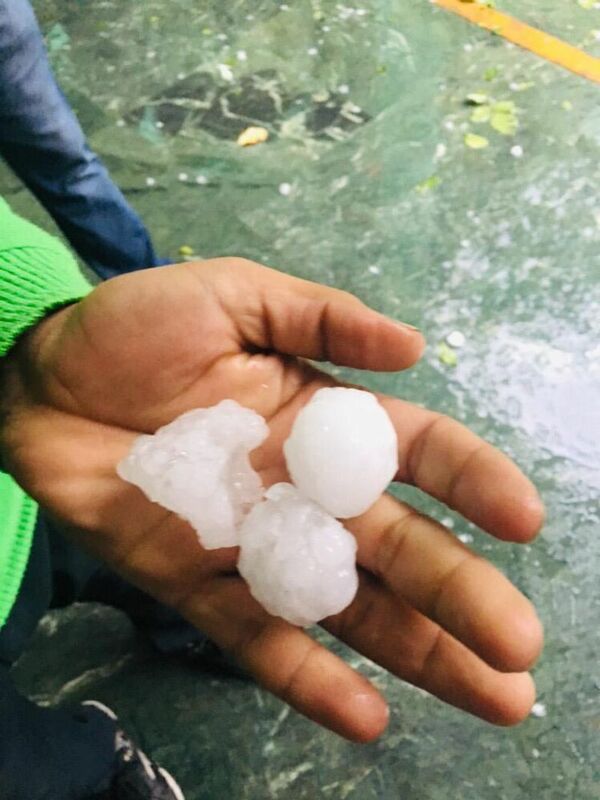 Heavy rains and hailstrom accompanied by strong winds lashed the national capital region on Thursday, bringing the mercury down by four to five notches. 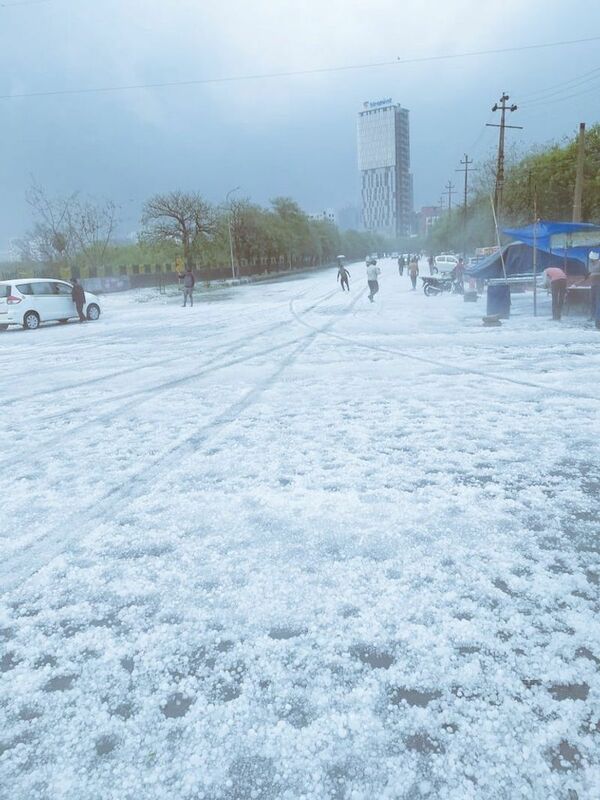 People took to social media to share pictures of roads covered with a thick blanket of hail. 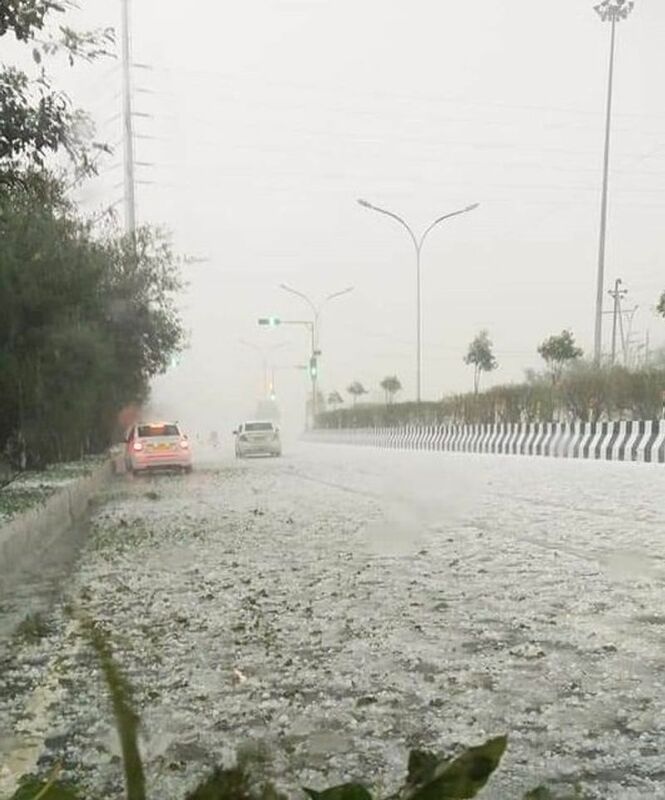 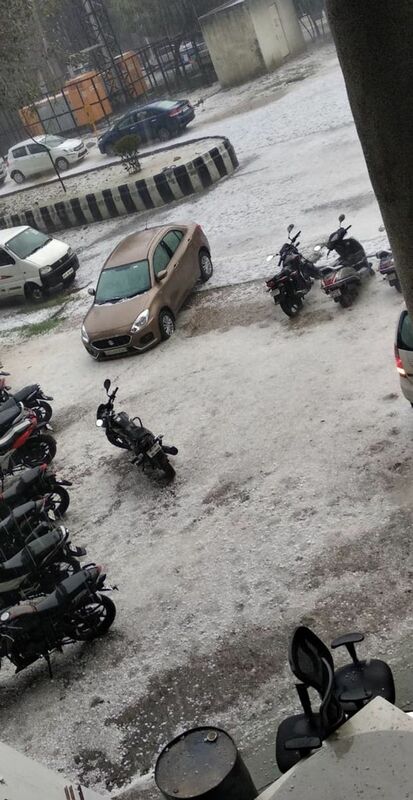 Severe hailfall was witnessed in Noida's Sector 137, 138, 91, 93A, 62, 63, 35, 37, 71, 75, 76, 77, 121, 122 and 123 and other sectors near the Noida Greater Noida expressway. 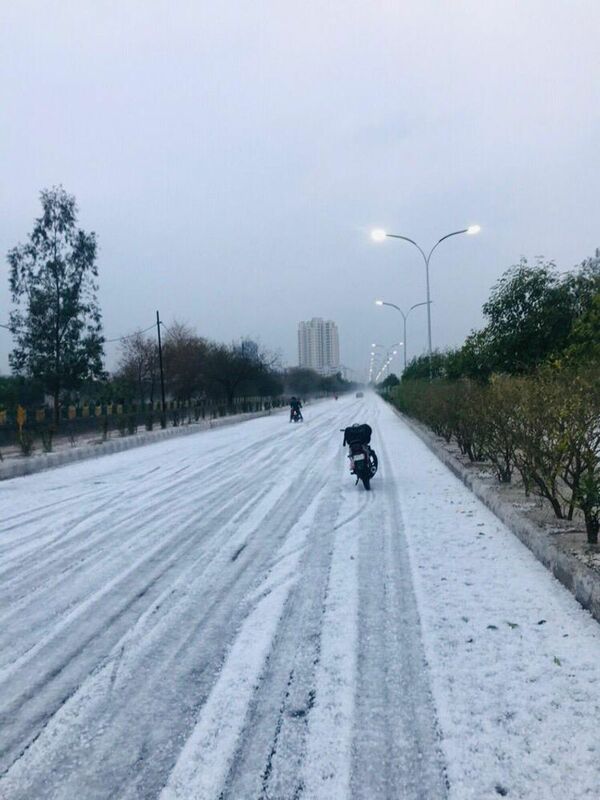 The minimum temperature in the city settled at 15 degrees Celsius, six notches above the season's average and the maximum temperature was recorded at 19.1 degrees Celsius, four notches below the season's average. 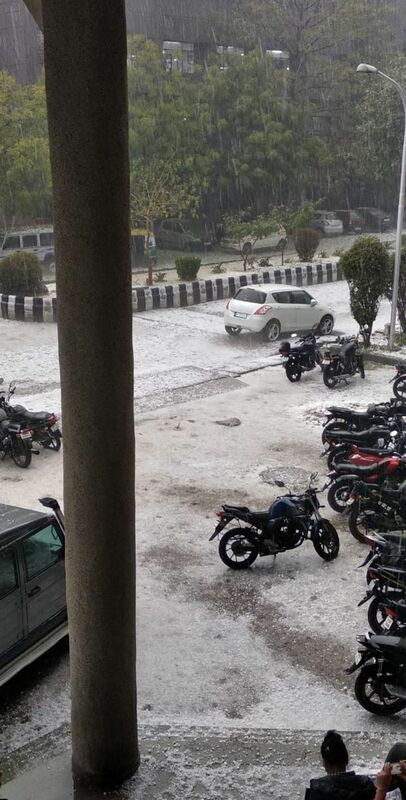 Twenty-three domestic flights were diverted out of Delhi due to the bad weather. 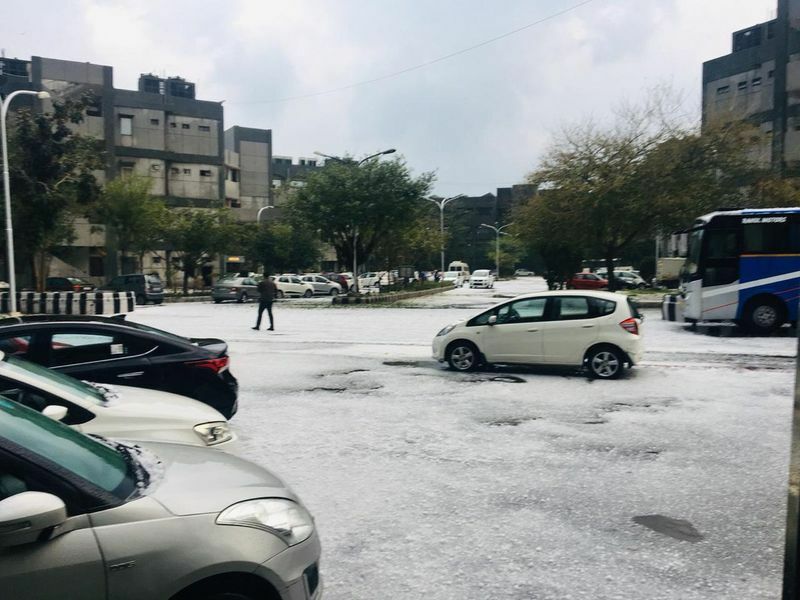 Nine international flights also met with the same fate. 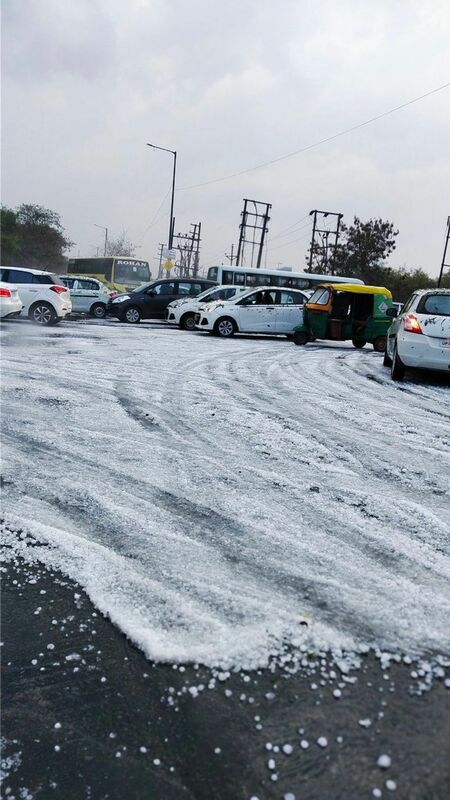 Some people said that Noida looked like a snow covered hill station.